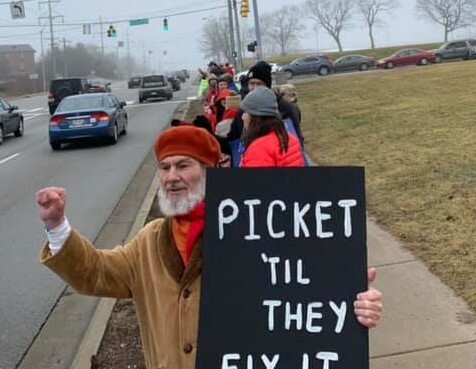 Negotiations at Wright State have resumed intermittently but have gone poorly. The sticking point is reportedly the administration’s contention that faculty do not have the right to bargain over healthcare. This would have wide-ranging implications. During the last several contract negotiations at UC, the administration proposed huge increases in health care cost. If healthcare was not the subject of collective bargaining, the UC administration or any administration could impose these huge increases unilaterally. Picket lines continue. AAUP-UC members are encouraged to make the relatively short-drive and demonstrate solidarity. The demonstration is well-organized and you would be greeted warmly.